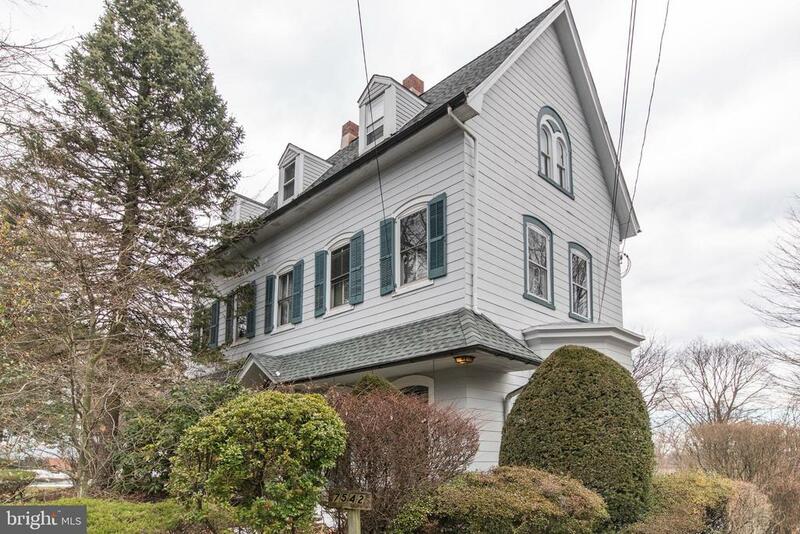 All Elkins Park homes currently listed for sale in Elkins Park as of 04/21/2019 are shown below. You can change the search criteria at any time by pressing the 'Change Search' button below. 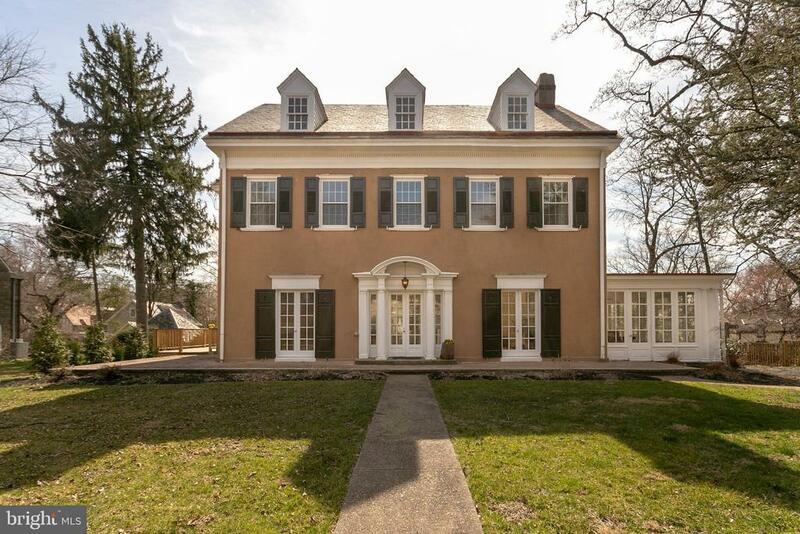 If you have any questions or you would like more information about any Elkins Park homes for sale or other Elkins Park real estate, please contact us and one of our knowledgeable Elkins Park REALTORS® would be pleased to assist you. 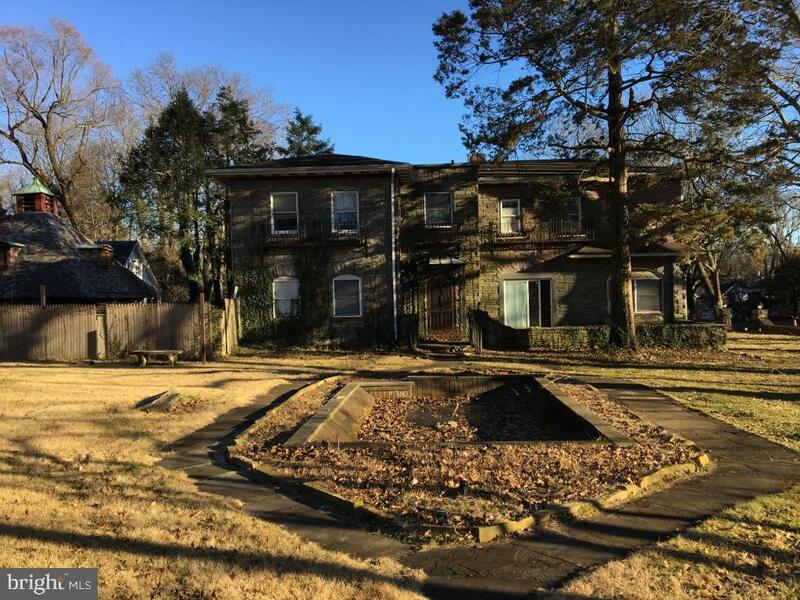 "Lynnewood Hall one of the largest surviving Gilded age Mansion in the Philadelphia area..... 2 parcels 310000820004 and 310000823001 ( 33.85 Glorious Gated Acres ) Endless Possibilities For Development in MU 3 ( Mixed Use Overly District ) Museum location, Condo conversion with clothing shops, restaurants, banks, music venue ,Hotel, Hospital, Town center with stores/townhouses/condos/apts. Nursing home with life care center , Movie studio production center etc.. This 110 room Neoclassical mansion was designed by architect Horace Trumbauer for industrialist Peter A.B.Widener"
"This unique contemporary home tucked among tranquil woods & a rippling stream will warm your soul! It's a stunning example of architecture & design w/soaring beamed ceilings, an array of fireplaces & endless windows bringing the outside in! The effortless flow is ideal for entertaining a crowd, but also providing many inviting functional spaces for everyday living. An impressive front door & foyer greets you & guides you to an elevated living room on to a family room, dining room & a gourmet kitchen equipped w/ a large island/breakfast bar, marble tops, stone backsplash, stainless appliances & serving/dry bar. Retreat to the spa-like 1st floor master suite featuring a walk-in closet, double-bowl vanity, soaking tub, beautifully tiled shower & sauna. You'll find a 2nd breathtaking master suite on the 2nd floor w/a wall of closets, stone accent wall, his & her vanities, soaking tub & tiled shower. 3 Additional bedrooms & a lovely updated main bathroom w/floating vanity completes the 2nd floor. A huge 2-tiered deck overlooking the stream & firepit demands warm weathering gatherings. Other features include a 1st floor office, 1st floor laundry room, recessed lighting & 2-car garage. Just minutes to local parks, schools, shopping & major roadways. A truly distinctive property!" "This wonderful property is situated at the end of a dead-end street with 25 feet of frontage and just under 3 acres. The well maintained and constructed Brick expandable ranch home offers Entry foyer with closet, Large living room with a brick heatalator type fireplace, A dining room, Eat-in kitchen with Electric range w/S/C oven and D/W, A separate main floor laundry room with door to covered porch/breezeway and open patio, 2 good sized bedrooms and a 4 piece C/T Bath. There is a walk-up stair case to a large partly floor attic. There is a full basement with block walls. The home also offers an oversized 1 car garage. This large 2.99 acre lot is zoned R-4 Residential and offers sub-division possibilities. Photos coming soon!" "This totally refurbished magnificent home was built in 1900. All of the meticulous craftsmanship that was done throughout the home truly sets it apart. Many of the original details are still highlighted in the home; the home features hardwood floors, crown molding and high ceilings throughout. The cortico entrance has the original mercer tile floor with doors that lead to a large Foyer with a powder room, coat closet and a door that leads to the back stone patio overlooking the beautiful grounds. To the left is the Family Room with a gas fireplace, to the right is the spacious Living Room with a wood burning fireplace. There are two sets of french doors that lead to a billiard room with doors to the outside. The inviting Dining Room has glass pocket doors, a wood burning fireplace, built-in corner cabinet and a door to the brick patio. The spacious eat-in Kitchen has wood cabinets, some with glass fronts and shelves, ceramic tile backs plash, Quartz counter tops and stainless steel appliances. The center island has seating and additional storage. Off of the Kitchen is a Butler's pantry and another area with more cabinets, tile back splash, wine refrigerator and steps to the 2nd level. There is a mud room with a tile floor with an area to hang coats, shoes and school bags. The 2nd level has a Master Bedroom Suite with closets, updated Master Bath with double sinks, tile floor and a large stall shower. In addition there are two Bedrooms that share a Jack and Jill Bath with a tile floor and a stall shower. Conveniently on this floor is a large Laundry Room with cabinets. The Third level has three more Bedrooms and a Hall Bath with a tile floor and a claw foot tub. This home features new heat and central air, new electrical, new hot water heater and most windows have been replaced. A must see, Make your appointment today!!" "Welcome to the immaculate & completely restored Dutch Colonial. In its 115 year history, this home has had only 2 families that have called it home. Originally constructed for Edward Lorimer (one of 5 Brothers that established one of the largest yarn manufacturers in the US) in 1903, it remained in the Lorimer family until 1982 when the property was purchased by the current Owner, a master craftsman, carpenter & cabinet maker. Do not be deceived by the appearance of the Victorian aesthetic within, as everything about this house has been thoughtfully & tastefully upgraded to modern standards. This includes all of the systems (2 A/C systems in 2016 & 2018, gas-fired condensing furnace with 98% efficiency in 2012, complete renovation of both bathrooms in 2016 & 2018, new lifetime guaranty roof in 2012, upgraded & enhanced electrical systems, new kitchen, laundry & breakfast room to name a few). The house is deceptively larger than it appears from the street. The welcoming front porch wraps around the side providing direct access to the private rear yard. One will begin to appreciate that every single original detail remains. The entry hall is filled with quarter-sawn Oak. The living & dining rooms are filled with Chestnut woodwork on the pocket doors, plate rails, shutters & picture rails. The kitchen was renovated to exacting standards of the original cabinets with Yellow Pine cabinetry & counters, a new island and a professional Viking stove along with all the other necessary appliances. The laundry & breakfast room are tucked off the kitchen with a powder room under the main stairs. Upstairs, the wood details continue to impress, from the custom walk-in closet in the master bedroom to all the door trim & baseboards. Both bathrooms have been completely updated and both provide a large stall shower & a claw foot tub. The 3rd floor has amazing ceiling height (due to the roof lines) and there is even a pull-down staircase for access to a large, floored attic. 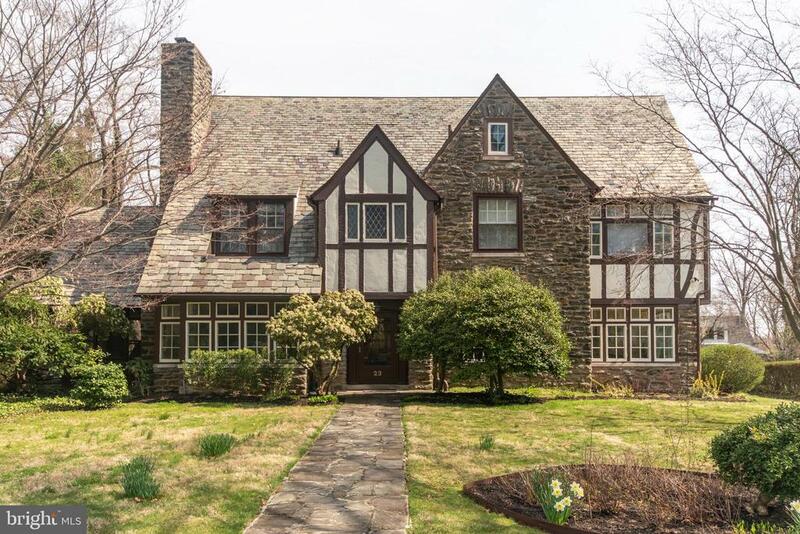 The Owner"
"Come and relax in this Tudor style luxury home minutes from the city limits designed by a nationally recognized architect, Louis Magaziner. In 1945, Mr. Magaziner transformed this home to what it is today. You will immediately appreciate all the original features that were carefully preserved, while enjoying all the modern conveniences. Colorful stain glass windows on the front door panels beautifully transmit sunlight. The grand foyer is adorned with the original wood staircase. Flanking the entrance to the formal dining room are gleaming lead glass panels. You can dine in front of a romantic electric fireplace surrounded by the original mantel and legs with marble trim panels. The kitchen and baths were renovated with Koehler and Moen faucets, shower heads, medicine cabinets, wall sconces, bathtubs, and sinks. The kitchen was thoughtfully constructed to discreetly place an elevator that reaches the second floor. This Gourmet Kitchen includes a Viking stove and range, a Miele steam oven, Fisher and Paykel Dishwasher, and a Fisher and Paykel refrigerator. Hand-painted stone backsplash imported from Italy completes this warm kitchen. Energy efficient updates include: Pella windows and doors on first and second floors, new water heater, new commercial boiler, extra instillation in the attic, all plumbing, and electrical wiring are current, and smoke and carbon dioxide detectors throughout the home. This turn of the century home does not lack in storage, countless closets everywhere. Two of the spacious bedrooms have California closet designs. This completely renovated living room has a stately gas fireplace with original mantel and legs with granite trim panels. You will love the theatre like effects of a Bose surround sound. The entire property is safely guarded with a home security system. Hardwood floors throughout, central air on the second floor, and a two car garage. An unfinished basement spans the entire square footage of the home is where you do your laundry." "Welcome to Ainslie. Majestically sitting on the corner of Church Road and New Second Street is this Eastlake Victorian home built in 1886 by Charles Hammond. Now you can own a piece of history. You won~t be disappointed as you explore every inch of this incredible beauty. Because of his love of England, Charles had many of the ornate mantles, wainscoting, hardware, doors, fireplaces, and woodwork imported from England to be installed in his new home. On each floor is an elaborate radiator that can also be found in the Centennial Exhibition in Washington, D.C. The main entrance brings guests into a massive hallway with a 17 step grand staircase with a double stained glass window on the landing . This incredible windowdepicts a woman possibly his wife at the time. Under the staircase is a hiddencloset and wine rack. To the right of the hallway is the palatial living room with 6 stained glass windows depicting flowers. The ceiling and walls have been covered with Bradbury and Bradbury wallpaper from the period. To the left of the hallway is the library with 2 built-in bookcases, a working wood fireplace, and a magnificent inlaid parquet floor. Three stained glasswindows adorn the room. The windows are believed to depict prominent writersof the time. Below the chair rail, above the picture rail, and on the ceiling isoriginal embossed leather. The large dining room will easily entertain large family gatherings and is graced with a working fireplace, working gas chandelier and 6 stained glass windows depicting different food groups. On the walls above the wainscoting is original embossed leather. There is an elaborate built-in sideboard and fireplace mantel. Behind the dining room is a butler~s pantry completely covered in original oak panels with a plethora of cabinets and a dry sink. You can easily access a small private covered porch from this area. In 1992 an addition was added for the kitchen, breakfast area and family room. The family room features a "
"1404 Ashbourne Road is a classic 19th century, late-Victorian Elkins Park stone home. The architectural details include pedimented gables, an octagonal dormer, a faceted (partially slate, partially patterned wood shingle) roof with wood shingle cladding, that is accentuated with leaded glass windows. Many large additional windows are accented with rounded-arch lintels and arched transom windows. The exterior of the home is graced with a three-sided, semi-enclosed, wrap-around porch with a porte-cochere extension entry. The semi-circular driveway loops across the front of the house (with an extension under the porte-cochere which permits home entry with protection from rain and snow) and then leads to the separate carriage house.The interior of this home is largely original, in keeping with its historical status. Grand foyer entry includes high ceilings, an elegant stairwell, a priceless chandelier (rescued from a South Philadelphia temple that was being re-purposed), functional pocket doors leading to a library (with solid oak shelving), a gracious living room, and a dining room that reminds the visitor of elegant and lively entertaining. Twelve-foot (12~) ceilings and original hardwood floors recall a sense of wealth, luxury and history. Exquisite light fixtures and solid wood panels abound. The kitchen has been renovated with durable/sustainable hardstone countertops,Brazilian hardwood flooring, a 5-burner Bosch gas stove, double sink and large capacity birch cabinets. The entire home is served by a central vacuum system that extends to the 3rd floor.The 6 bedrooms are large, and light-filled. A Master Bedroom ~Suite~ has an attached dressing room with a vast amount of closet space. The upper-most level of this home offers a ~studio~ space that is a ~wish-list~ opportunity for an artist, crafts designer, exercise gym, or media theater. The house is served with a ground-floor powder room and 3 additional full bathrooms.1404 Ashbourne has extraordinary outdoo"
"Elegance and detailed craftsmanship describe this turn of the century 17 room English Country Manor in an amazing architecturally preserved neighborhood. Situated on 1.5 acres, this magnificent residence showcases a grand foyer entrance with coffered ceiling and the treasured split staircase leading to 6 bedrooms. The main floor consists of a formal dining or billiard room, butler's pantry, separate breakfast room with plate rails, and an amazing formal living room accented with period oak paneled wainscoting, leaded glass windows with crests, an ornate fireplace with a high efficiency wood burning insert and sitting alcove. Mud room back entrance leads to spacious 21x13 eat-in kitchen with built in SubZ refrigeration, Viking Range, Double ovens, subway tiled back splash, granite countertops and center island. The pocket doors are accented by the rich hardwood floors that flow through out. Well preserved old world woodwork and moldings accent the entire house. Genuine gas burning sconces are still hung in their original locations. Huge bonus room on the 3rd floor currently being used as an office. The sprawling 1.5 acre corner lot holds a large detached stone and paver patio with a spa covered by a full wooden pergola. An absolutely marvelous place to relax or entertain. Three covered porches overlook the front yard. The rear of the property has the original carriage house stone walls and could possibly be rehabilitated into a garage or work shop. Melrose Park train station is two blocks away (15 minutes to Center City and 45 minutes to PHL). 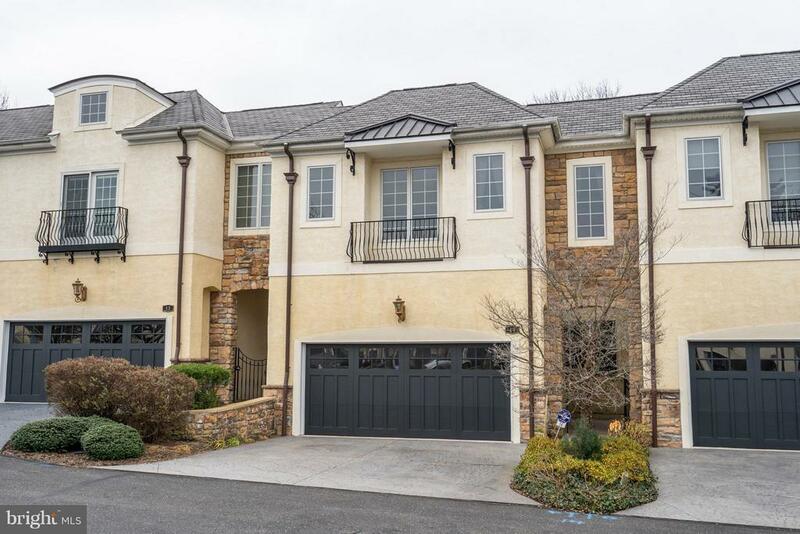 Come see this finely crafted dream home in the high end community of Elkins Park." 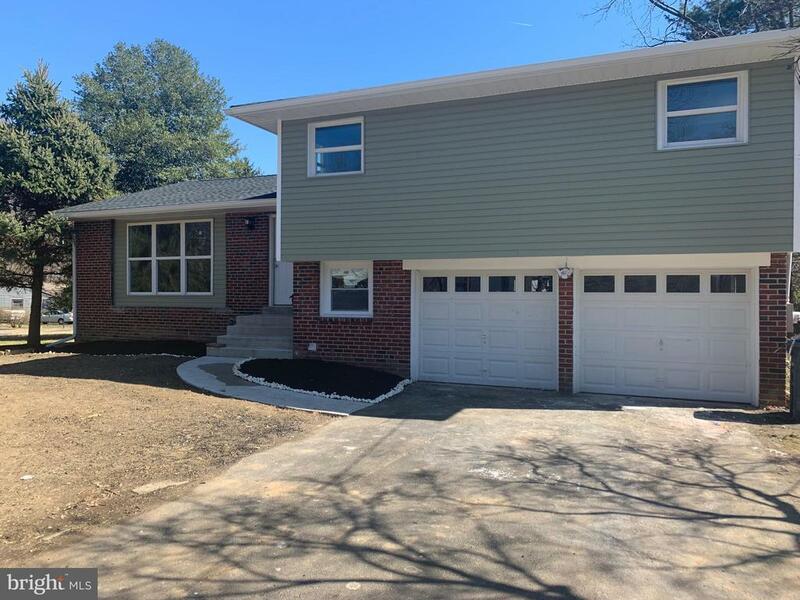 "Come see this beautifully updated and spacious, split level home, nestled in a charming neighborhood of Elkins Park with Abington Schools!!! Enter through double doors to be greeted by cathedral ceilings, an abundance of sunlight, and an inviting open concept living & dining space. French doors lead you into the bright and spacious Eat in Kitchen, which was tastefully updated in neutral tones, granite countertops and all GE stainless steel appliances; gas range, refrigerator, NEW built in microwave & NEW dishwasher. Walk out onto the back deck from the kitchen to enjoy those summer nights or your morning coffee. On the second floor you will find your Master bedroom, bath and huge walk in closet. Three more sizable bedrooms, ample closet space and a FULLY UPDATED hall bath completes this floor. This home is an entertainer's delight with two family rooms on the lower level; one with a wood burning fireplace and BRAND NEW bay window, the other with sliding glass doors to a wonderful flagstone patio. The lower level also has an option for a 5th bedroom with it's own access to the outside and a full bath. The fully finished basement comes with a dry bar, disco lights and generous space large enough for a pool table. A special surprise is the dry sauna room!!! Upgrades include GORGEOUS hardwood flooring throughout, two year old Bradford White Water Heater, newer windows, freshly painted, updated six panels door, two BRAND NEW awnings. Within walking distance to McKinley Elementary School and close to Alverthorpe Park, Trader Joe's, Whole Foods, major highways, hospitals and universities. 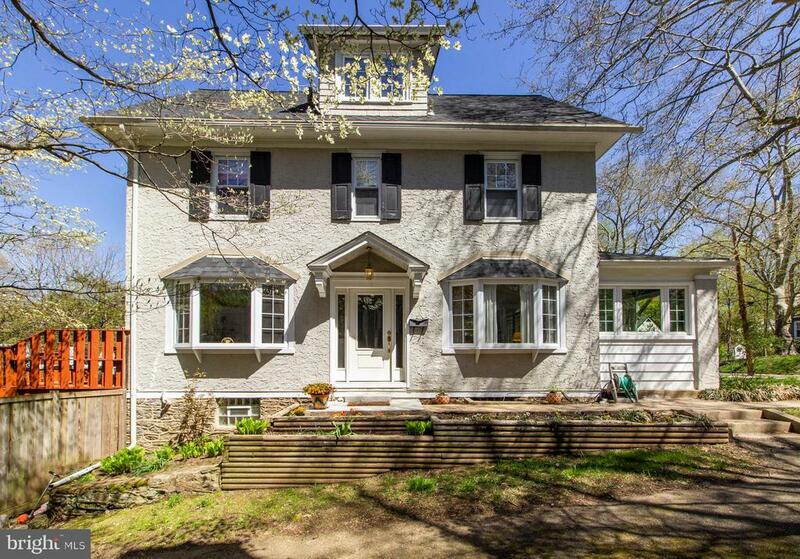 Convenient to Jenkintown Train station for an easy commute to Center City." "Welcome to your new home!!! The 600 block of Elkins Avenue was constructed in the late 1920's on a quiet lane with no through traffic. A series of unique designs combine Spanish Colonials (my listing! ), English Tudors & Dutch Colonials with stately street trees and sidewalks. It's a wonderful little pocket neighborhood that's easily accessible to the Elkins Park Train Station (3 blocks away) and all the restaurants, stores, parks & the library are just a few blocks away. Elevated from the street, a few steps up to the front door and there is a large entertainment patio out front. There is ample room for outdoor furniture and even a fire pit & is a wonderful spot to enjoy the morning sunrise with a cup of coffee or tea or relax with an evening beverage and wave to your neighbors as they enjoy their daily walks. The siting of the house allows for wonderful Southern light to enter the entire side of the house (including the basement). 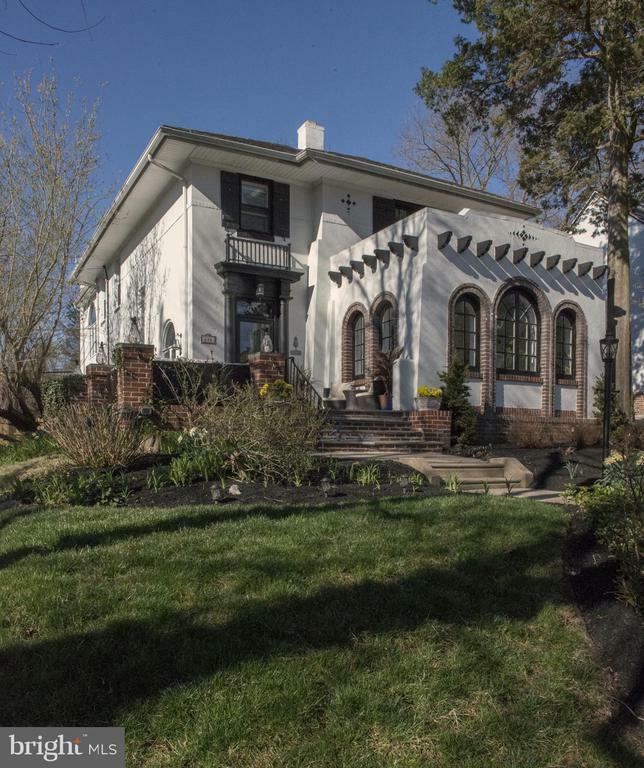 One will begin to appreciate all the original architectural details including the exposed rafter tails on the sunroom, inset tiles in the original stucco & a beautiful solid wood entry door and half-round columns. With over 3,000 S.F. (plus a finished basement), there is ample space to entertain or get away from everything! One enters into the full-width living room that is anchored by the original plaster & brick wood burning fireplace (with a pretty arched firebox), re-finished hardwood floors throughout and numerous recessed lights. Dual custom bookcases flank the entrance to the sunroom. The staircase is tucked into one corner with an arched window and the beautiful sunroom up front is flooded with light from 3 sides of arched casement windows. The large dining room was recently enhanced with crown molding. Tucked off the dining room is the perfect little coffee bar/wet bar on the way to the basement stairs and powder room. The heart of the home is the kitchen, and this one certainly will impress! 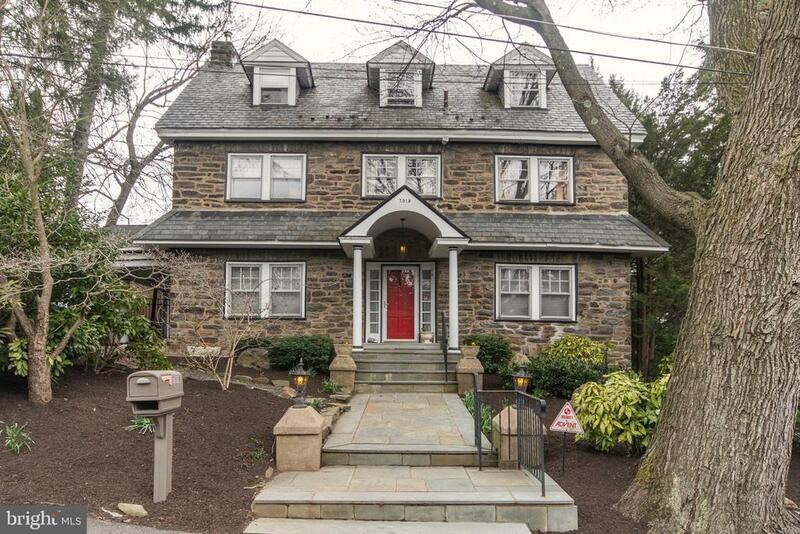 Completely remodeled in 2015, i"
"Welcome to Latham Park, Elkins Park's premier historic gated community. Built in the early 1920's,the ornate wrought iron gate invites you down the Parkway's captivating, private, tree-lined street. Situated on a little over a half acre, 23 Latham Park is a gracious Tudor with over 4700 square feet of comfortable living space. Step inside and you will be in awe of the classic architectural details, hardwood floors, walls of windows, built-in bookcases which all have been meticulously preserved. The formal living room exudes elegance and serenity. It features a beamed ceiling, and a historical grand fireplace with Mercer tiles. The newly renovated custom kitchen features a cabinet front refrigerator and dishwasher, granite counter tops, and tile flooring. This is truly a cook's kitchen, which is no doubt the heart of the home. Hidden inside custom cabinetry, the washer and dryer is discreetly nestled next to the kitchen. No more trudging loads of laundry baskets up and down basement steps. Directly off the kitchen is a sunny formal dining room with crown molding, chair rails and the sunny sitting room. The spacious yet cozy family room features w/w carpet, large picture windows and direct access to the manicured grounds. Retreat to the second floor and you will find the master bedroom suite which includes a second stately fireplace flanked with Mercer tiles, large walk-in closet, and a 4-piece master bathroom featuring original subway tiles, and a beautiful leaded glass window. There are three additional bedrooms all with custom built-ins and large windows, and a second full bath. The third level houses the fifth bedroom, third full bath, and ample closet space. Out back is a two-car detached garage, long private driveway, and plenty of outdoor space for entertaining. Your new home is minutes away from downtown Philadelphia, restaurants, shopping malls, libraries, parks, Melrose Train Station, Elkins Park Train Station, public transportation, Rt. 309, and PA Turnpi"
"Spacious Charming Dutch Colonial nestled on an enormous landscaped lot that features a huge detached 2 Car Garage! This home has been carefully remodeled with great detail while maintaining old world charm and showcasing the modern conveniences of today. You will love the large foyer entrance with curved doorways and long hallway leading to both the convenient first floor laundry room and separate powder room. Expansive Living Room with an abundance of natural light, cozy fireplace and beautifully refinished floors that adorn this home. Adjoining Sun-room will become your favorite room in this house! Enjoy yet another fireplace, new flooring and beautiful views from every window! Marvel at the Gourmet Cooks kitchen featuring White Wood Cabinets with subway tile back splash, gorgeous granite counter-tops, tile floor, expansive Island with Stainless hood, wine rack, all new Stainless appliances, large pantry closet and separate serving area! Sun splashed Full Dining Room with multiple windows make this a great space for entertaining and holiday dinners. Follow the winding stairs to the second floor where you will find a huge light filled Master Bedroom that spans the length of the house with 3 closets and custom design master bath. Luxuriate in the new walk in shower with river rock floor, multi-functional shower bar featuring body sprays and rain shower head. Large vanity with pull out faucet, beautiful tile floor and space for all your essentials. Additionally, two light filled large bedrooms and second full bathroom with tub and shower complete the second floor. Continue to the third level of this magnificent home and you~ll find two more large rooms that can be used as bedrooms, offices, exercise or self-reflection. Also, you~ll find yet another new full bath with another multi-functional shower bar featuring body sprays and rain shower head to complete the third level!The homes outside space offers endless possibilities with a gracious rear patio overlooking the"
"It would be hard to find a more spectacular park like oasis then the one viewed from this stately stone center hall colonial. Classic features include a slate roof, inlaid hardwood floors, pocket doors and a stone fireplace frame by French doors leading to a covered side patio. Updates include - an eat-in gourmet kitchen with granite counters, double GE wall ovens, brand new five burner GE cook-top, an abundance of cabinets with in and under cabinet lighting, recessed lighting and a greenhouse window overlooking the custom mahogany deck, hot tub and multilevel private, fenced yard- lush with spectacular plantings. The master bedroom suite boasts a custom tile bath with double vanity, walk-in shower and a walk-in closet. Two additional bedrooms and an updated hall bath complete the second floor. ~The third floor features two more bedrooms and a hall bath. Walkout finished lower level currently provides a workshop area (would make a great family room), Laundry Room, storage area and access to the two-car garage. Two zone central air conditioning and brand new boiler/heater ensuring year-round comfort. Convenient location with easy access to major roads, a short walk to Ogontz Park, the Creekside co-op and the Elkins Park train station. The classic design, modern updates and natural beauty make this a must-see property!" 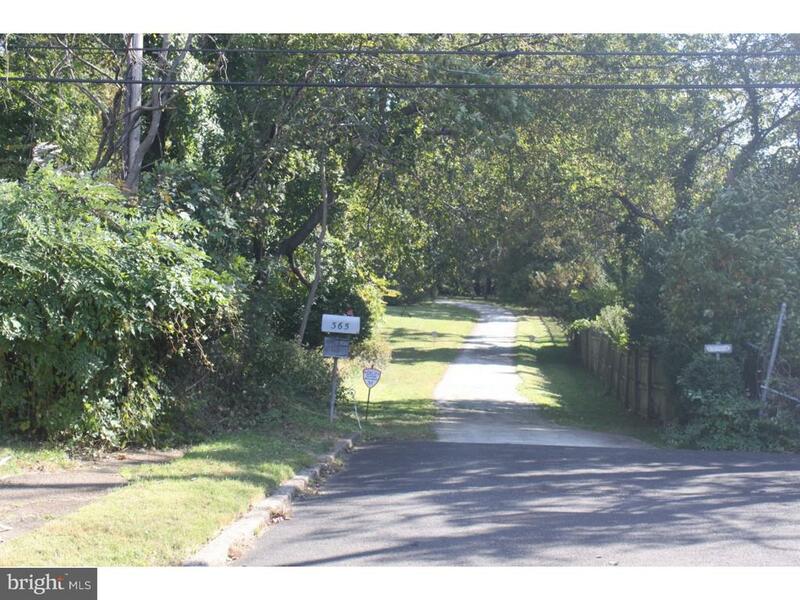 "Arrive at Your New Home nestled on a beautiful lot in Elkins Park, Montgomery County! Complete with 4 Bedrooms 2.5 bath, the quality of craftsmanship is clearly evident as you walk through each room. This home is truly Spectacular! Walk into the bright entry with Center stair case, Gleaming Hardwoods and inviting Atmosphere. The Natural light that radiates through the Numerous Windows gives the main Level a Bright and Cheery Atmosphere. Spacious living room with fireplace and dining room will make entertaining a breeze. The New Kitchen boasting endless amounts of White Shaker cabinets, Natural Quartzite countertops, Large center island, recessed lighting, subway tile backsplash, and all new stainless steel appliances guaranteed to WOW your visitors. Continue to the second level to find your Master bedroom, that has plenty of space in closets and en-suite bathroom that features double vanity, and shower. Also notice a New Hall Bath. Just down the hall find 3 more good size bedrooms complete with closets. There is no lack of storage in this home with a full basement and attic! Some Noteworthy features of the property include NEW High Efficiency HVAC unit, all new plumbing, all new electrical, Hardwood Floors, Main floor Laundry, Recessed Lighting and Freshly Painted throughout. There is a 1 car garage attached, nice driveway, and a very nicely landscaped Backyard with Patio. Close to major commuting routes, schools, shopping and restaurants. The Impressive Upgrades, many amenities of this home and the beautiful lot will make this your home of Choice! Don't Miss this opportunity, Book your appointment today!" "Looking for the dream combination of old world charm and upgraded finishes? Center Hall Colonial beautiful hardwood floors throughout. Beautiful modern New Kitchen features an open floor plan into expansive Dining Room. Great for the gourmet cook that loves to entertain! Be the first to cook in the Kitchen with beautiful White Cabinets, Granite Countertops, Tiled floor and Backsplash. New Stainless Steel Appliances including gas oven, built in microwave, dishwasher and side by side refrigerator with water on the door. Relax in your expansive living room and enjoy the stone fireplace overlooking the front patio. Convenient new first floor powder room. Master Bedroom with new beautiful ensuite bathroom was designed for convenience and relaxation. Five additional bathrooms and two additional New Full Baths! Full unfinished basement, two car garage and nice sized rear yard. New plumbing, electric and heat/AC are updated. 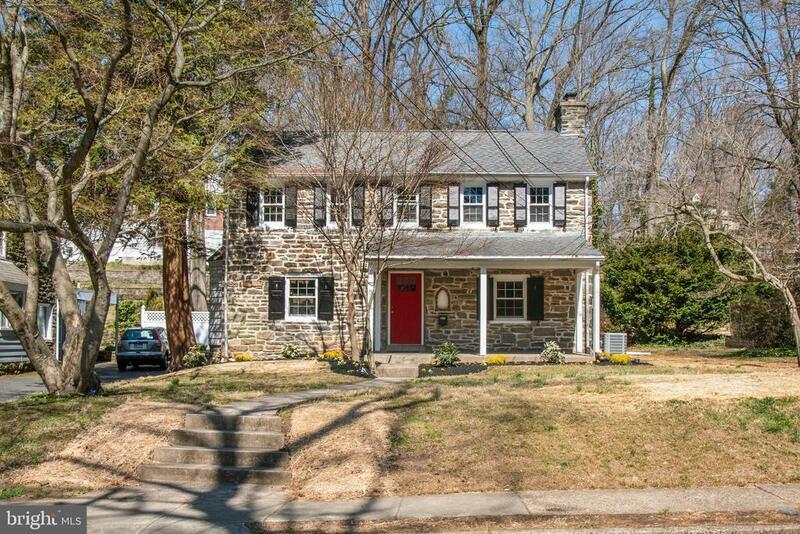 This home is nestled on a beautiful tree lined Street in convenient Elkins Park. 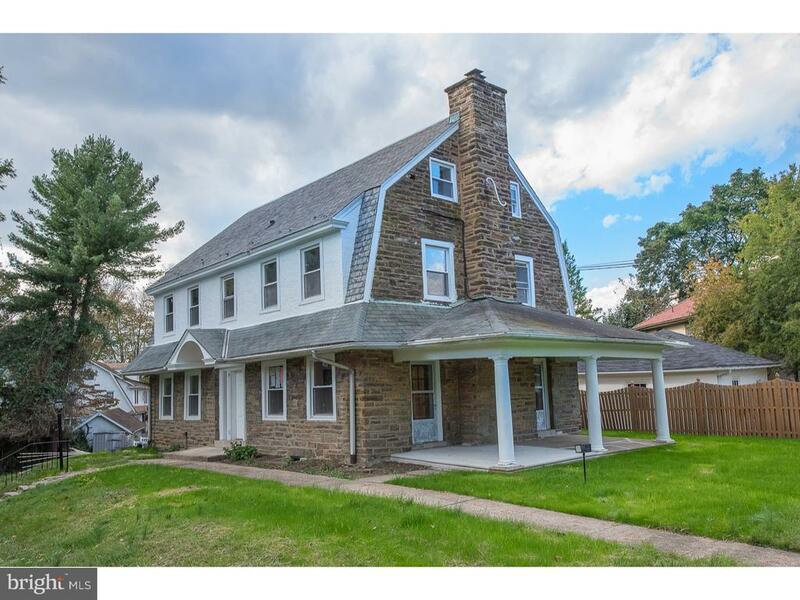 Close to Elkins Park or Jenkintown Train Stations, 476,309 and Turnpike. Shopping, parks, restaurants and several Universities and Hospitals close by. You will love the walkable neighborhood and community feel!" "Welcome to your hidden gem! 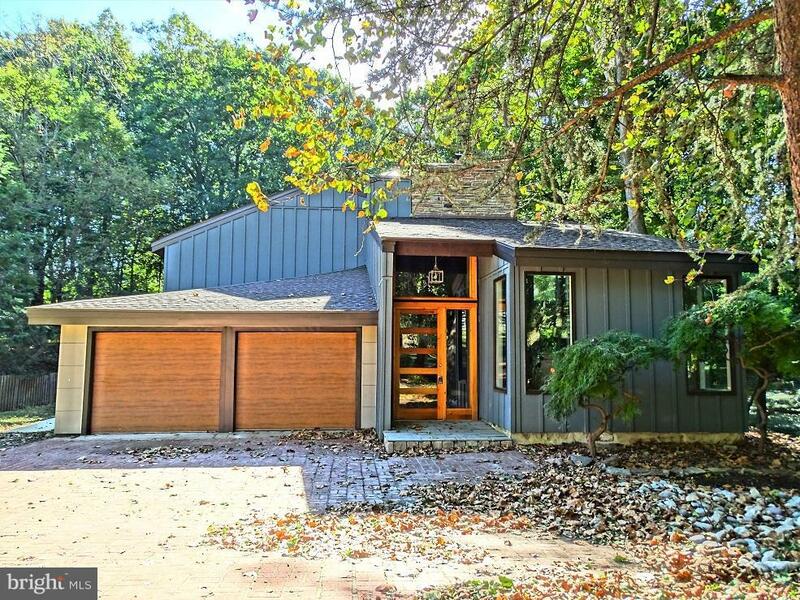 In a park-like setting, sprinkled with mature trees and vast open grounds, is this over 4,000 square foot mid-century modern home awaiting your special touches. 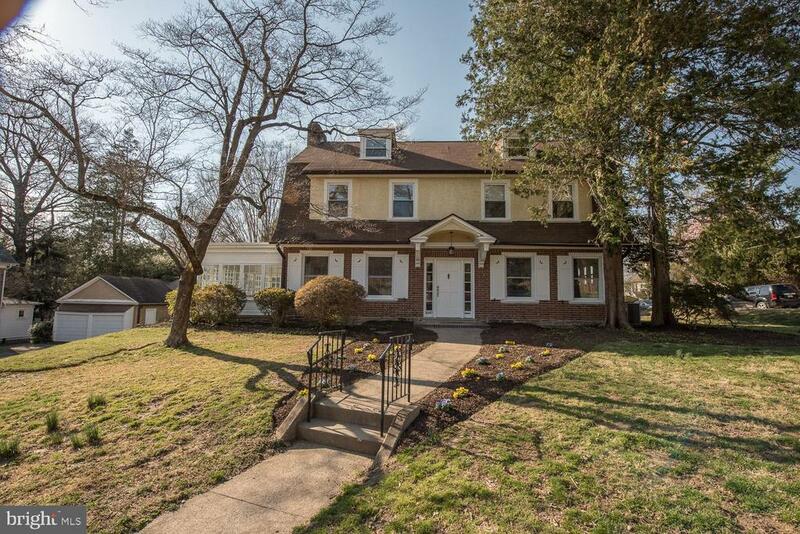 Convenient to everything Elkins Park has to offer, yet tucked away at the end of acul-de-sac and down a long driveway, sits this 4 bedroom, 3 1/2 bathroom oasis. You enter this one of a kind home into a 2-story foyer. To the left you will find a huge living room boasting random width pegged wood floors and and tons of windows that treats you to the natural beauty surrounding this home. Off the living room is a dining area that leads to both the kitchen and a 3 season room. The kitchen is newly renovated with granite counters, 2 sinks, and recessed area for 2 ranges. Finishing out this floor, and on your way to the first bedroom level, is a conveniently situated, updated half bath. Up a handful of steps, is the expansive master bedroom with 2 closets, and a 4 piece bathroom. Another large bedroom with en-suite bathroom completes this level of the home. A few more steps up and you will find 2 additional good-sized bedrooms and a full bathroom. The lower level of this home is an entertainer~s dream. Equipped with a bar, family room and separate theater, the possibilities are endless throughout this part of the home. Accessed by a door in the kitchen or through the lower level, is the unfinished portion of the home which houses a laundry room , large storage closet, and the homes HVAC system. Spread your wings and let your imagination soar in this one of a kind property!" 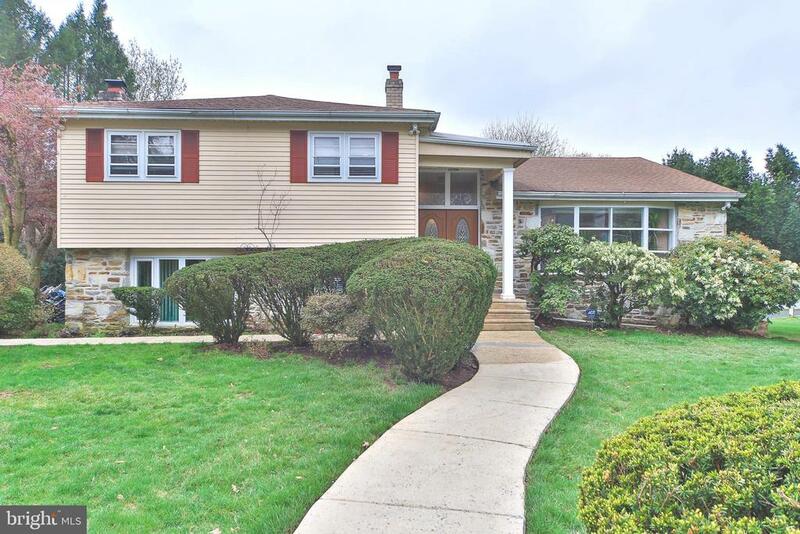 "Tastefully remodeled 4 bedroom 2.5 bath colonial bi-level in Abington Township. This home boasts over 2,000 sq.ft of living space with everything updated. New roof, new HVAC, new plumbing, electric and windows! Fantastic master bedroom with master bath. All bedrooms are extremely spacious! The only thing you need to do is move in and unpack your bags!" 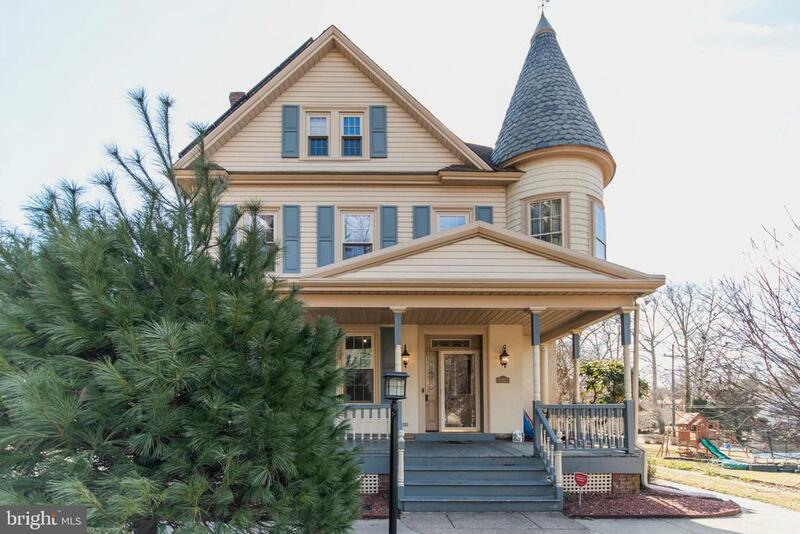 "Welcome home to this 7 Bedroom true Victorian Masterpiece perfectly situated on an incredible double lot. This home is where you will find the old world charm and craftmanship your heart has been looking for. Your guests will be greeted by your gorgeous Porch and ushered into the elegant Foyer. Bask in the architectural beauty featuring original Moldings and Hardwood floors. Enjoy the open and airy feel of the Main Floor rooms with 9+ ft. ceilings in the Living Room, Formal Dining Room, Family Room (which can double as a Master Main) and Kitchen. Grab a book and stay warm and cozy with your Wood Burning Fireplace centered beautifully in the Living Room. Your spacious Kitchen is equipped with Stainless Steel Appliances, a large eat-in area and overlooks your incredible 0.66 acre yard. Through the Kitchen, you have access to the Basement and your Au-pair staircase. The 2nd floor offers 3 incredibly spacious Bedrooms ~ one of them is Turret style, and a full hallway Bathroom. Completing the 2nd floor is a gorgeous Terrace off the hallway. The 3rd floor offers an additional 4 spacious Bedrooms and a hallway Bathroom. Your large, unfinished Basement has high ceilings allowing for finishing, and has a walk out to the rear yard. No need to be concerned about your electric bill here, this home has 22 Solar Panels installed in 2017 with a 92 sun exposure rate (roughly 2/3 of electric bill each month). Your detached, 2 story, 2 car garage offers you the ability to work from home from your workshop/multi-media makerspace and use the second floor as a yoga or art room. The garage was renovated and fully connected in 2018! Come on in and fall in love with the charm, elegance and uniqueness of this home. It won't last and is a must see. This home is only a 20 minute train ride from Center City Philadelphia, a short distance to the Elkins Park Train Station, and close to local shopping and restaurants. The home features two parcels, the home parcel at .48A, and the second parcel "
"Welcome to the distinguished Enclave of BREYER COURT...designed with elegance and filled with an old-world charm which will impress you and your family from the moment you enter the gated courtyard entry. A beautifully landscaped village greenery with pathways, street lamps, and a lighted fountain create a welcoming setting for family and friends. A private, gated courtyard patio leads into each of the homes. 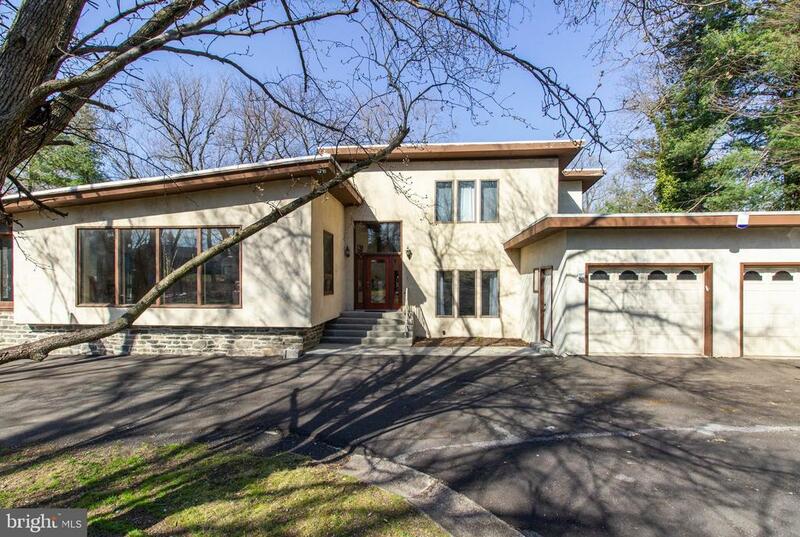 This unique home has been well maintained and offers the finest in design. An open-air floor plan beginning with the hardwood foyer leads to the Dining Room, Private Study, Great Room, and Kitchen Area. The Kitchen has hardwood flooring, Custom Kraftmaid cabinetry and spacious 10' island with a sizable breakfast bar. Private, maintenance-free outdoor deck is accessed off of the breakfast room, which offers a perfect retreat for morning coffee. All rooms are open and lit with natural light. Many custom decorator features including newer neutral carpeting and neutral painting. You will also surely be impressed with the spacious 2nd floor - 2 very large bedrooms, hall bath, laundry room. Also, open Master Suite on the second floor includes a bright, spacious Master Bathroom with a stall shower, soaking tub, double vanities. A full walk-out basement could easily be finished with sliding doors to a back deck and wooded lot for privacy and serenity. Great space that offers lots of opportunity to decorate as you desire to meet your personal styles and family needs. 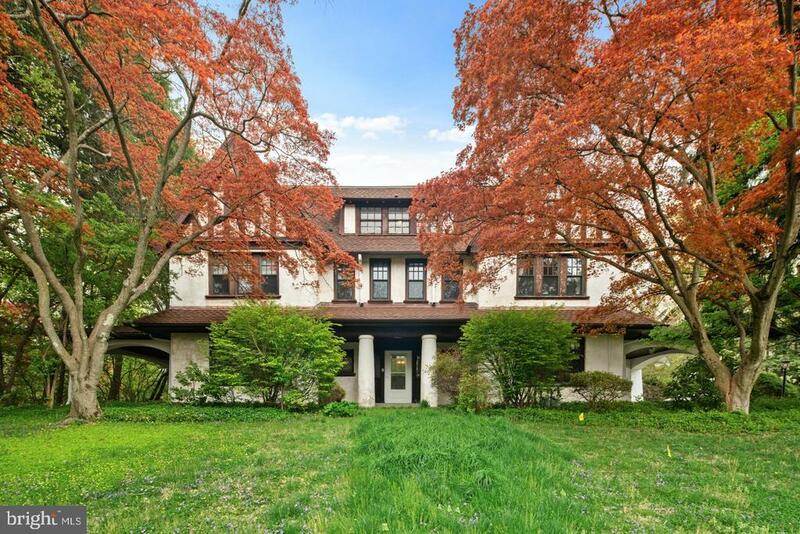 Beautiful setting that is private - Conveniently located and easy access to Center City, minutes from train station and all that is offered in the picturesque Jenkintown area - Dining, shops and entertainment. Wonderful living in a beautiful home awaits you!" "Come see this charming & updated 5 bedroom, 3.1 bath home on desirable tree-lined street in Elkins Park. 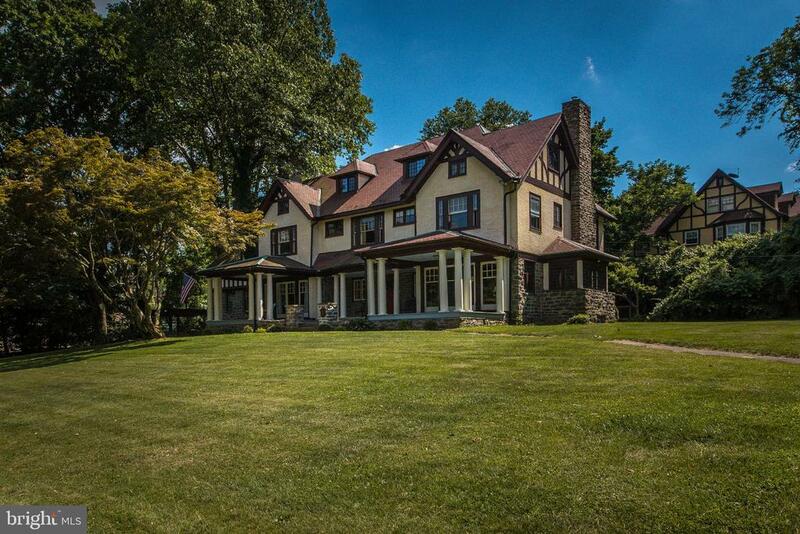 Manor Road is one of the best kept secrets in Elkins Park. Enter into a lovely foyer with handsome staircase and french doors that take you to either the Living Room or the Dining Room. The Living Room boasts beautiful wood floors, fireplace, recessed lighting and entryway to light filled sunroom. The Sunroom with newer windows and neutral carpet is perfect for playroom, office or family room. The Dining Room is designed for entertaining on any scale and features tons of natural light. Every cook will love the newer kitchen too! 42in cabinets, built-in breakfast bar, granite counter tops, ceramic tile floor, high hat lighting and door to large deck. 1st floor powder room adds convenience. Upstairs the Master Bedroom with newer en-suite bath is a lovely space. 2 other Bedrooms are a good size with ample closets and windows. An updated hall bath completes this level Full 3rd floor offers 2 more Bedrooms and a hall bath with a claw foot tub/shower! Perfect for guest rooms, office, hobby room or play room. The finished basement is a versatile space for a home gym, family room or play room with doors to the yard and utility area. Off street parking for 3 cars, new roof, newer windows, hardwood floors and newer hot water heater. Bright, clean, updated and PERFECT! Cheltenham Township offers acres of parks, libraries, community pools, Curtis Hall Concerts, dog park, Tookany Creek Park activities and Art Center. Walk to Sprinkles or the bakery! Close to trains to Center City, northern suburbs and even the Airport! 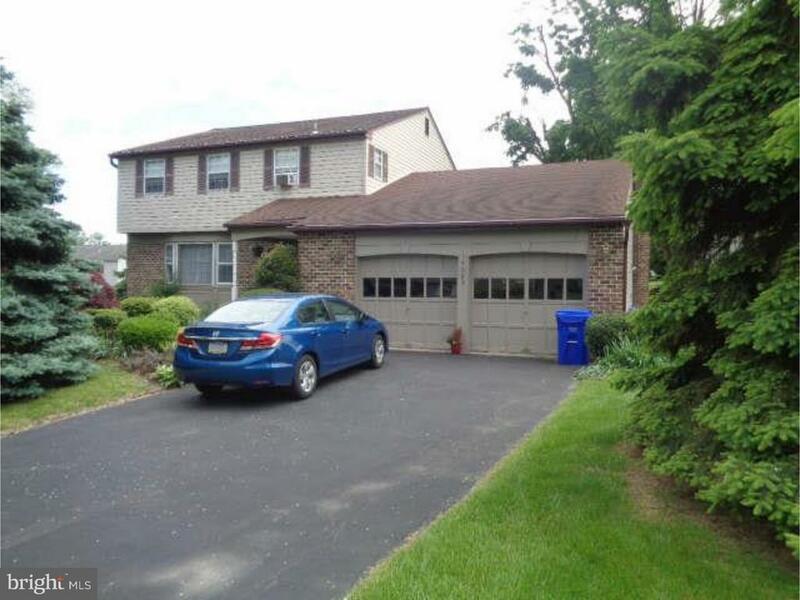 Close proximity to Universities & Hospitals as well as 309 and the PA Turnpike." 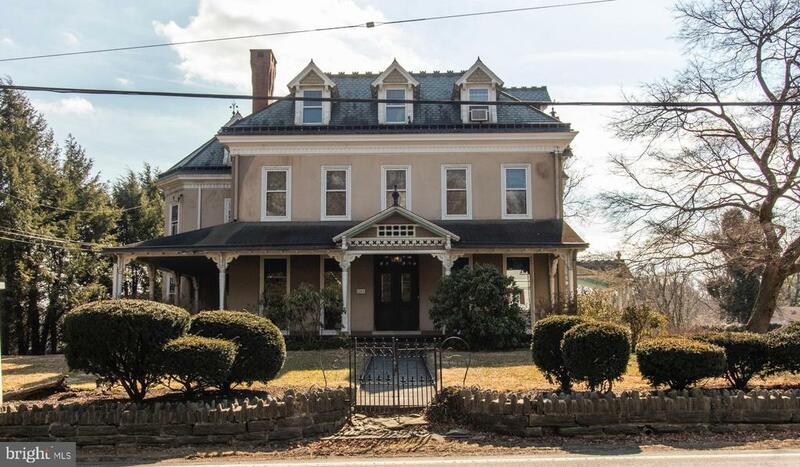 "Situated on more than a half acre, this 19th century Colonial is rich in architectural details and offers plenty of space for any buyer's needs. Through the front door, you'll enter into the center hallway which boasts gorgeous polished hardwood floors. The character and charm of this home's 1800s construction is evident in the spacious living room. High ceilings and windows on three sides of the room allow sun to stream through, brightening the space. A pair of French doors open to the front porch. Across the hall, you'll find the formal dining room with high ceilings, a classic built-in corner hutch and French doors that lead to the side porch. From the dining room, you~ll step into the impressively large eat-in kitchen which has become this home~s main gathering place. There's a sprawling island ideal for preparing and eating meals and entertaining. There's also space for a breakfast table next to the sliding door which offers a view of the large backyard. A powder room completes the first floor. Upstairs, the master suite includes a bedroom, sitting room, an office and a large bathroom with a double vanity. You'll also find two more bedrooms and a cozy reading nook on the second floor. Two more bedrooms, a storage space and another full bathroom are found on the third level. The partially fenced-in backyard is another great feature of this charming home. There~s space for dogs to run and for a garden. You'll love grilling out and hosting parties on the large rear deck. There's plenty of room in the three bay detached garage for storing cars or building a workshop. This lovingly maintained home has a new roof and furnace. The active owner will enjoy the home's proximity to the Logan Tennis Club, the greens at the Melrose Country Club and the Tookany Creek running and walking trail. Commuters can be at the Melrose Park train station within minutes." "Mini-estate being restored to its former grandeur. 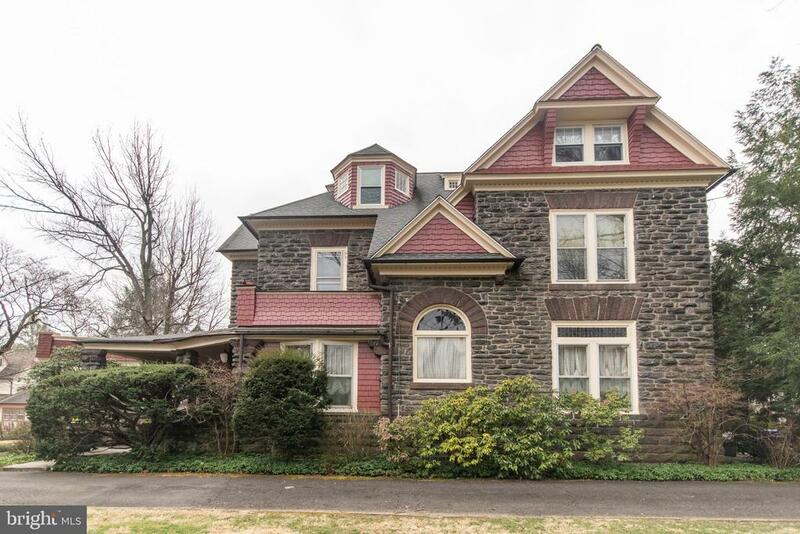 1920 stone Mansion, 5 bed, 3.5 bath with full unfinished basement on perfect double lot in Elkins Park. Corner lot is surrounded by stone walls, iron gates and comes with 2 story carriage house converted to 3 car garage, pool, gazebo, and koi pond. Former owner invested over 100k in all new plumbing, HVAC (central heat and AC), electric, walls. Brand new bamboo hardwood throughout whole house. Baths have all tile work done and the baths installed. Estate being rehabbed. Buy in now or later at a higher price point. Floor plans and pro-forma budget are available for this amazing residence -to re-sell or live in. Don't miss out."